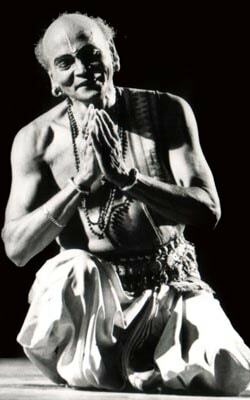 The man, who almost single-handedly resurrected Odissi dance from near extinction, is no more. The man who spent a life time grooming disciples of the caliber of Sanjukta Panigrahi, Kumkum Mohanty, Sonal Mansingh, Madhavi Mudgal and countless others, is no longer with us. The man, who started life as an impoverished mason and rose to merit a Padmabibhushan award, is no more. Paramount among the many initiatives closest to his heart was the annual “Guru Kelucharan Mohapatra Award” and in memoriam, we remember his affection and abiding concern for fellow artistes and colleagues in the plastic and performing Arts. The Guru Kelucharan Mohapatra Award has been instituted in the year 1995 by Sri Ratikant Mohapatra, son and disciple of Guru Mohapatra and the Director of Srjan, to confer recognition on an individual for his contribution in extensive areas in the performing arts. For the last 24 years the Guru Kelucharan Mohapatra Award has been presented to four persons in the field of Dance, Music, Cinema and Theatre. Achievements in these areas are attributable to one’s sincerity, self-confidence, and perseverance. However, in spite of these enduring qualities, dreams are sometimes shattered due to inadequate finance, illness, improper food etc. Many great achievers have experienced this in their struggle to carve out a niche for themselves. Guru Kelucharan Mohapatra is no exception. Born in an impoverished family, Kelucharan played the roles of a servant, labour, mason, actor and dancer to make both ends meet. Guruji’s struggle in his early life on many fronts, gave him the idea that a cash award, however limited in scope, would provide a psychological fillip through recognition and acknowledgement of a lifetimes labour in the service of art. From 2016 two awards of Rs.100,000/- each have been presented. The underlying principle of this award is also to generate a fellow feeling amongst the performing artistes who can, individually and severally, focus all their energies into taking their art to splendid heights, through mutual consultation and collaboration. At its inception 24 years ago, the award amount was a humble Rs. 10, 000/- . This year’s festival has a respectable allocation of Rs. Rs.100,000/- to each of two awardees. In the interim (2000 to 2009) as many as 28 awardees have received Rs. 25,000/- each and (2010 to 2015) as many as 14 awardees have received Rs. 50,000/- each. Guruji lived a life enriched by the constant need to create aesthetic beauty in dance and in everything else he touched. It is now left to us to extend Guruji’s priceless legacy.